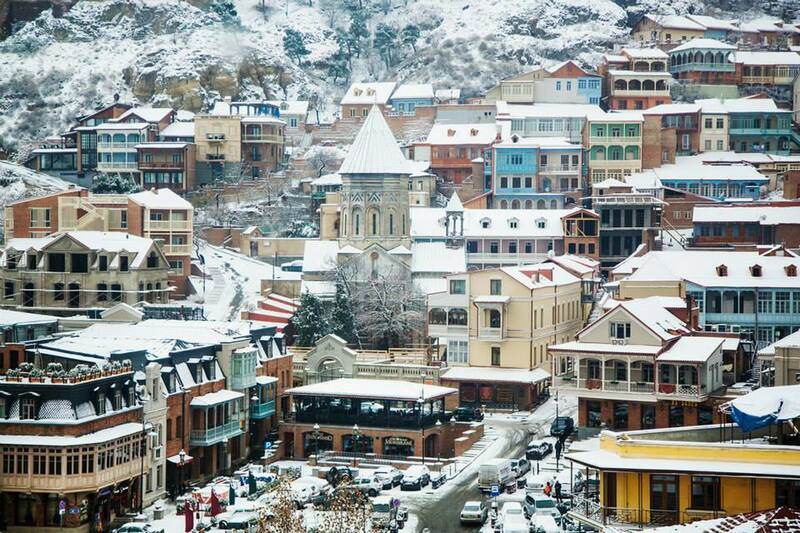 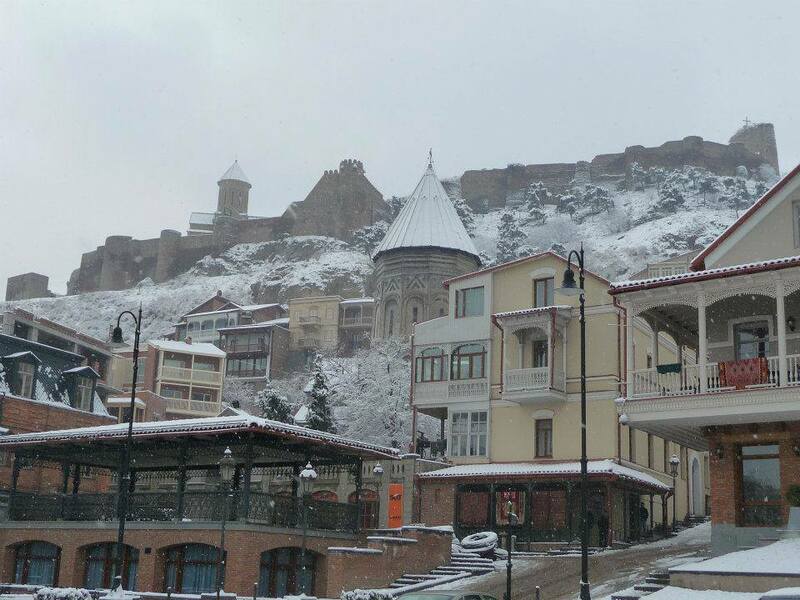 Tbilisi’s Old Town is picturesque all year and especially so in winter. 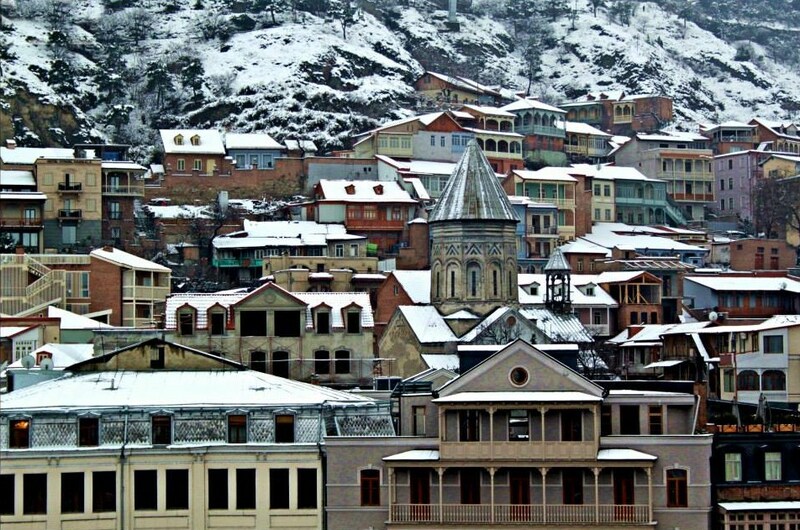 The Old Town (Georgian: ძველი თბილისი) is one of the oldest parts of the city and nestles on the mountainside under the 4th century Narikala fortress (Georgian: ნარიყალა). 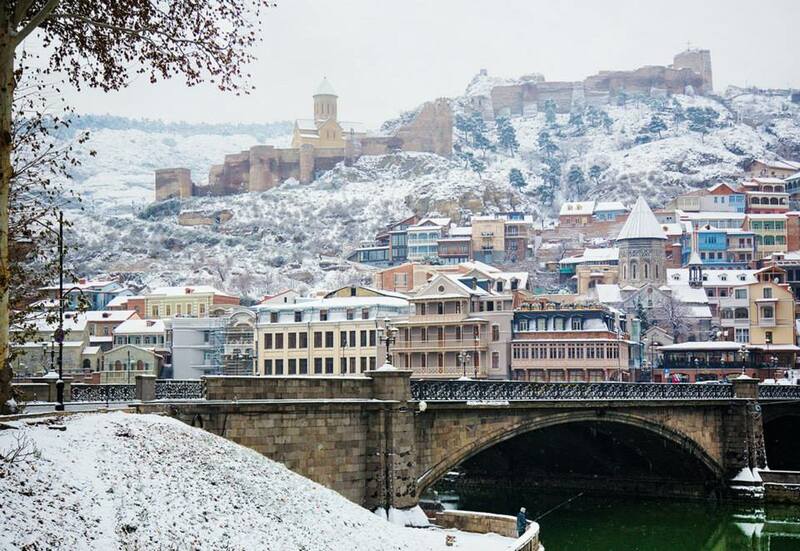 The Old Town is part of the Tbilisi Historic District and contains a number of officially designated monuments, churches, cobbled streets and picturesque pastel colored wooden houses with open, carved balconies. 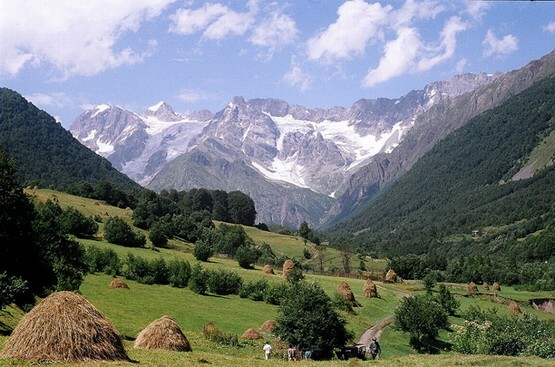 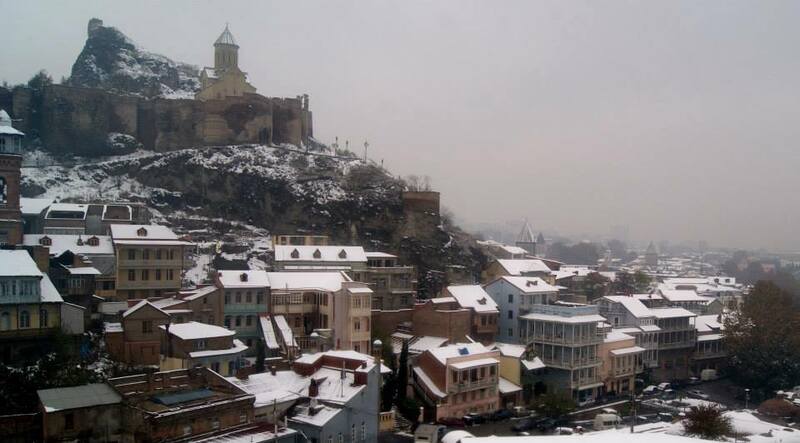 The houses are mainly 19thcentury as much of the city was destroyed by the devastating Persian invasion of 1795. 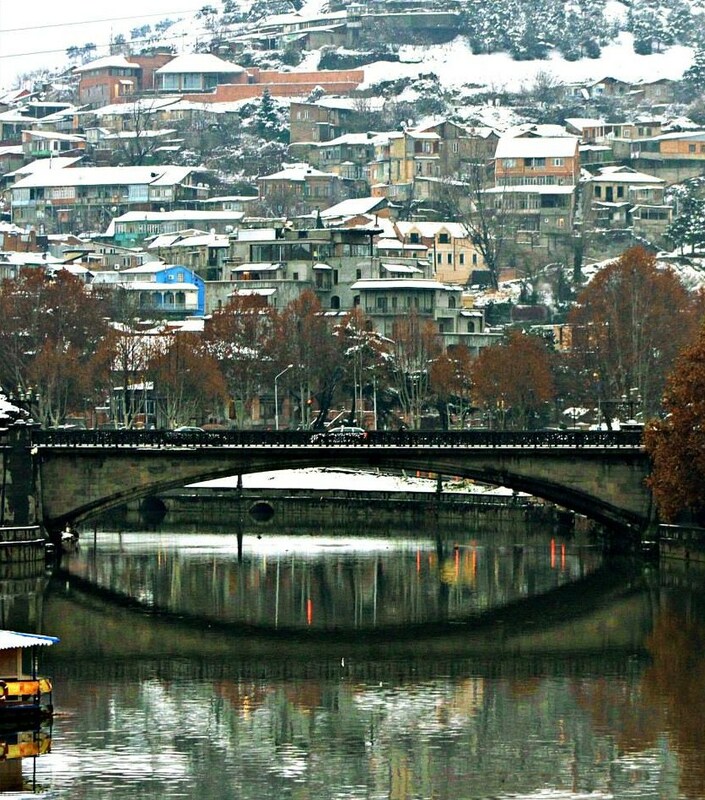 The Bridge of Peace (Georgian: მშვიდობის ხიდი) spanning the Mtkvari River connects the Old Town with Rike Park (Georgian: რიყის პარკი), a popular public recreation area in Tbilisi. 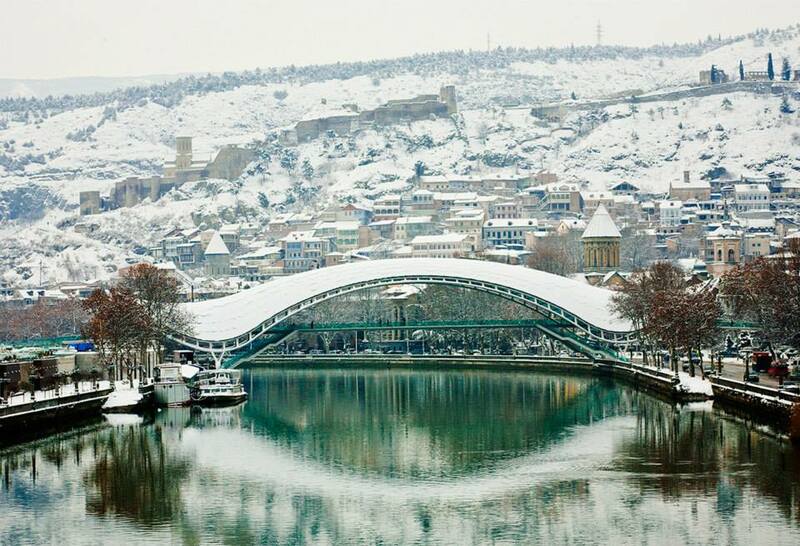 Tbilisi’s Old Town and Metekhi Bridge in Winter.